Not everyone can make it to Nevada, but everyone can mobilize our power and bring it to the polls! We in NYC are organizing a Women's March on NYC Meetup on Saturday, January 20, 2018 for the Women's March anniversary weekend. 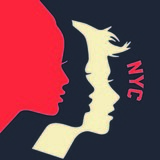 Join WOMEN'S MARCH NYC in New York City for the first anniversary of the Women's March.